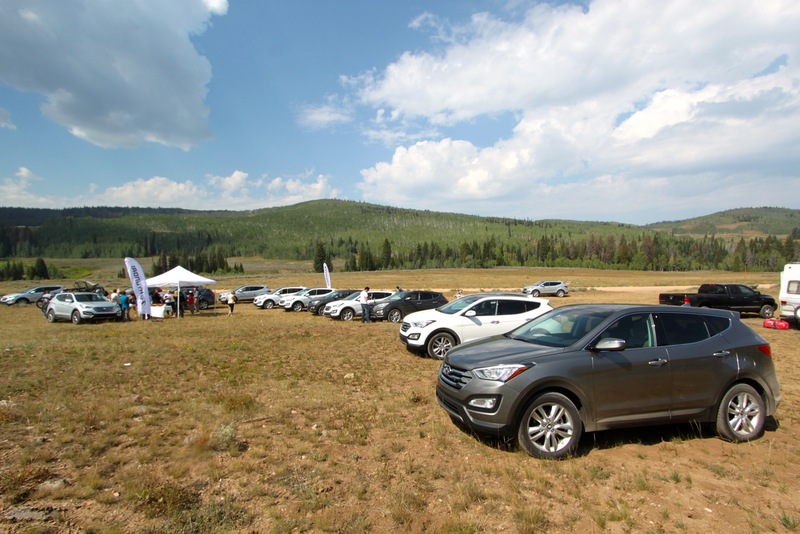 This past weekend we were invited out to Park City, Utah to get a first hand look at the new Hyundai Santa Fe Sport. The setting was simply stunning, and the event was first class all the way. 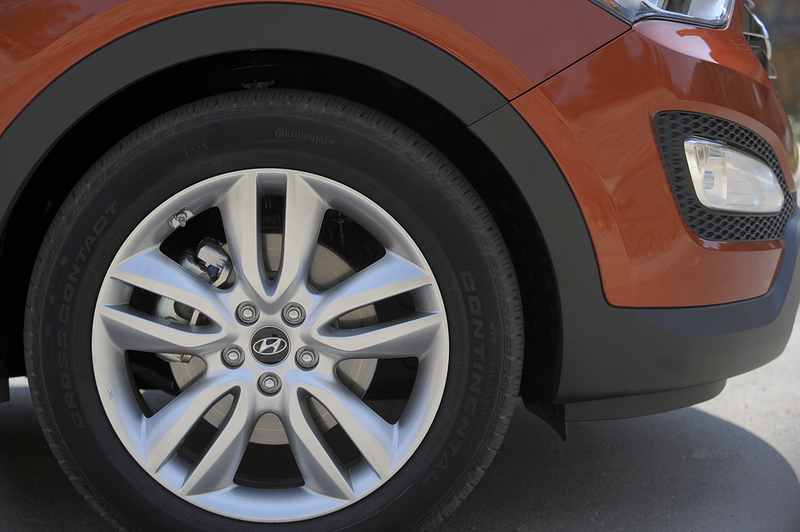 Everything was perfectly suited to showing off the capabilities of the all-new CUV from Hyundai. The model that we drove was the 5-passenger Santa Fe Sport, and a 7-passenger longer wheel base Santa Fe is due out later this year. While the Santa Fe Sport starts at a $24,450 MSRP, we were provided with the fully equipped AWD 2.0L Turbo with all of the bells and whistles. That meant our test vehicle priced out at nearly $35,000 but you didn’t have to look far to find the added value. The Montage Deer Valley Resort in Park City and the surrounding areas of Utah were like nowhere we've ever visited before, and honestly it was a bit difficult to focus on the vehicle with the all-encompassing vistas. On Saturday morning we were given the keys to the CUV, a route book, and a driving partner before being set loose on the mountainous roads of Park City. That route took us on a variety of surfaces, and to destinations such as Sundance and the Utah Olympic Park. We'll cover some of the highlights of our trip in a future article, but in this piece we'll try to focus on the vehicle. You can get a taste of the splendor we were surrounded by in the exterior shots below. Unfortunately the altitude and riding in the passenger seat for half the day got the better of me shortly after I took the photo above, so the photos in this article are a mixture of my own, and some provided to us by Hyundai. 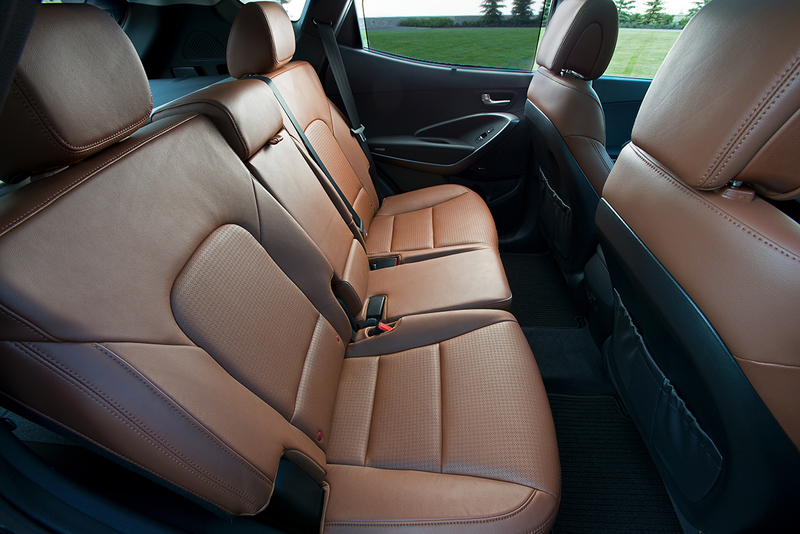 This Santa Fe has been completely redesigned inside and out, and the exterior is truly eye-catching now. 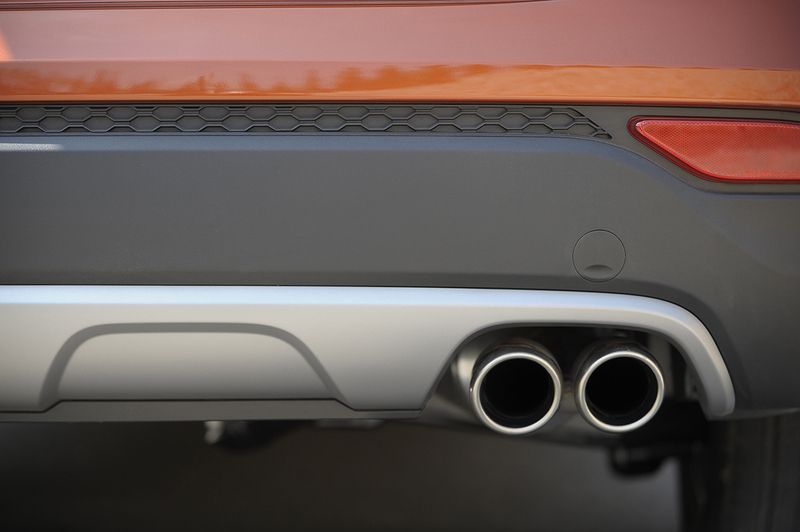 While some of the lines may seem a bit similar to other models on the market, Hyundai maintains some originality with their fluidic sculpture design of the body. The attention to detail apparent in the lighting, bumper treatments, and chrome accents give the Santa Fe a polished look that is indicative of a higher priced luxury CUV. However this isn't just a soccer mom's shiny grocery getter. It looks even more stunning when equipped with bike and kayak racks, and appears to be at home in the rugged Utah setting. The color shown (Canyon Copper) in the photos in this section is no-doubt what I would choose if buying this vehicle, but unfortunately they did not have this particular vehicle on hand for us to drive. Overall I found the color choices to be a bit tame for a trim labeled "Sport", but I suppose they're aiming for a more conservative family demographic. The standard tires (with no option to upgrade) were also less aggressive than my heart desires, although I guess that is why I drive a full-fledged SUV instead of a CUV. The interior and it's technology and polish is where this vehicle, and many recent entries into the auto market really shine. 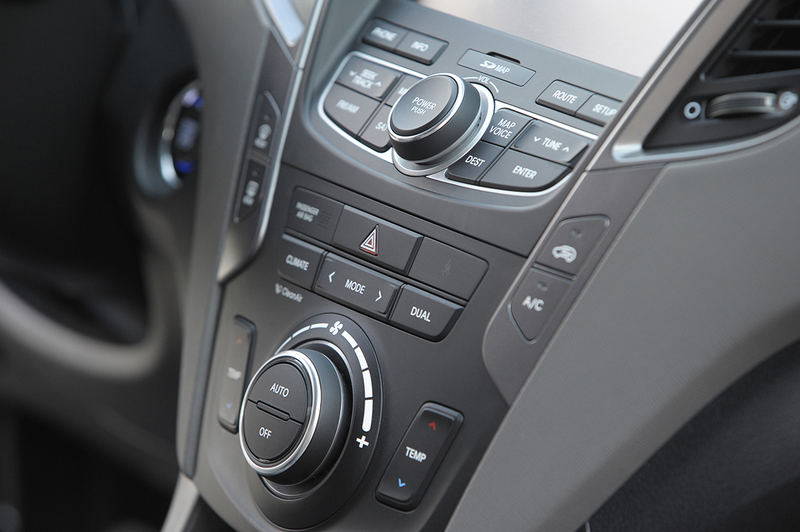 The fully equipped Santa Fe features almost everything you'd expect in a modern vehicle, with its 8" screen, navigation, bluetooth audio and phone, steering wheel controls, dual climate zones, push button start, backup camera, and extensive dash display. 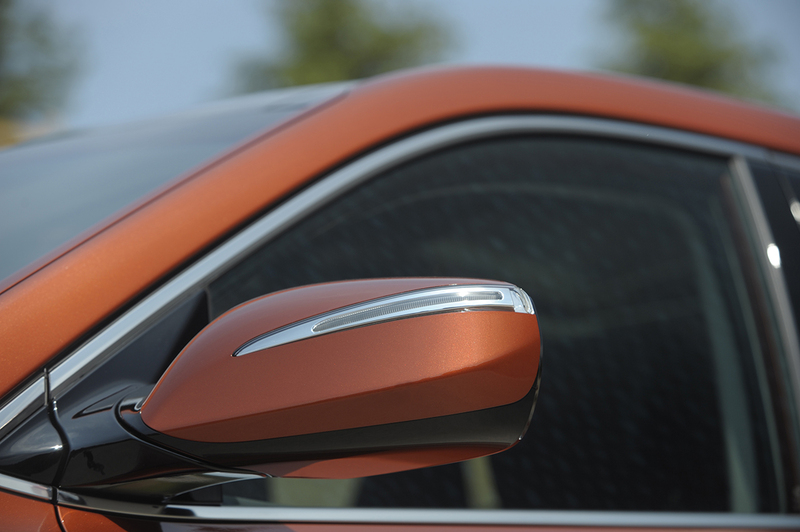 Some features we've seen on other vehicles that were noticeably absent include dual driver memory, automatic wipers, blind spot monitoring, and folding side mirrors. What the Santa Fe lacked in terms of features was more than made up by the capabilities that were relatively unique to this vehicle. 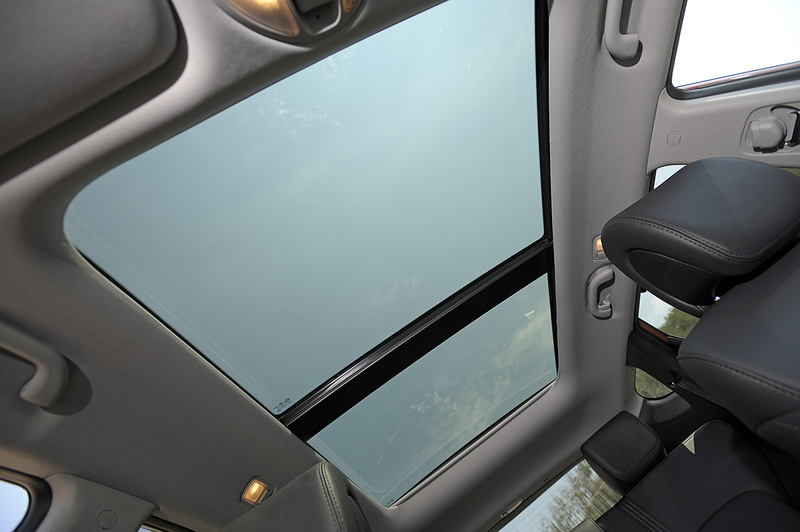 The huge sunroof provided the most unobstructed view of the sky we've seen, and the 40-20-40 rear folding (and heated!) seat configuration is ideal for our trips to the hardware store. 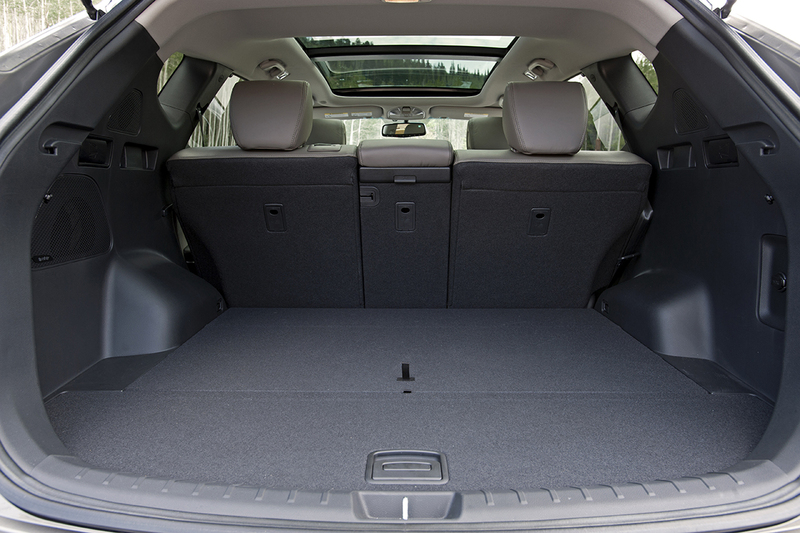 The rear also featured some clever storage underneath the floor, where you might typically find a spare tire, which is instead located underneath the vehicle behind the rear bumper. Overall I found the Santa Fe comfortable, which isn't always the case for me in smaller vehicles. The controls all seemed natural and easy to use as we were able to figure out how to do everything necessary within seconds. The digital link to my iPhone provided full track and album info (and cover art) on the screen, and the Harman Infinity sound system was amazing. The navigation system allowed access even while driving (by the passenger of course), although we were mostly utilizing our route book, and didn't fully test it out. 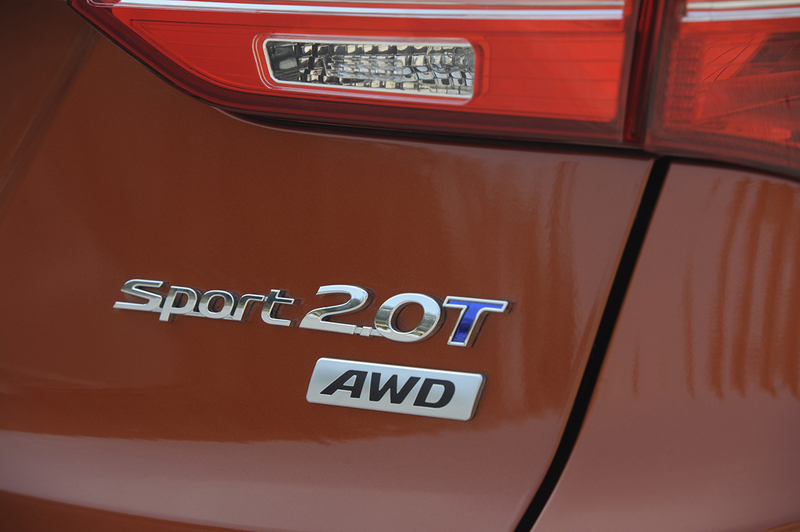 While I personally had some difficulty with the altitude, I can definitively say it didn't bother the high-output Theta II 2.0-liter turbocharged GDI engine on the Hyundai Santa Fe Sport one bit. In my ride in from the airport, I noted how much trouble the large SUV I was riding in had on the steep inclines of Utah. So we were pleased to see how easily the Santa Fe Sport ate up every "hill" we put in front of it. From what we understand, Hyundai is the first car manufacturer to host an event in Park City, with its average altitude of 8,300 ft. They did so confidently and their vehicle certainly delivered. 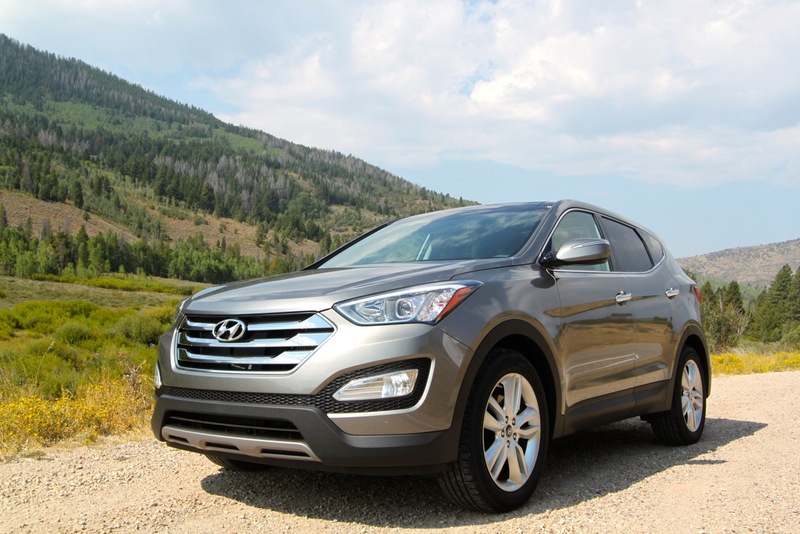 Overall the Santa Fe Sport is an impressive CUV which provides great value for the money. The fully equipped model is luxurious, rugged, powerful, and capable. The Santa Fe Sport certainly should be on your list if you are looking to purchase a new CUV and continues Hyundai's recent run of surprising entries into the auto market. 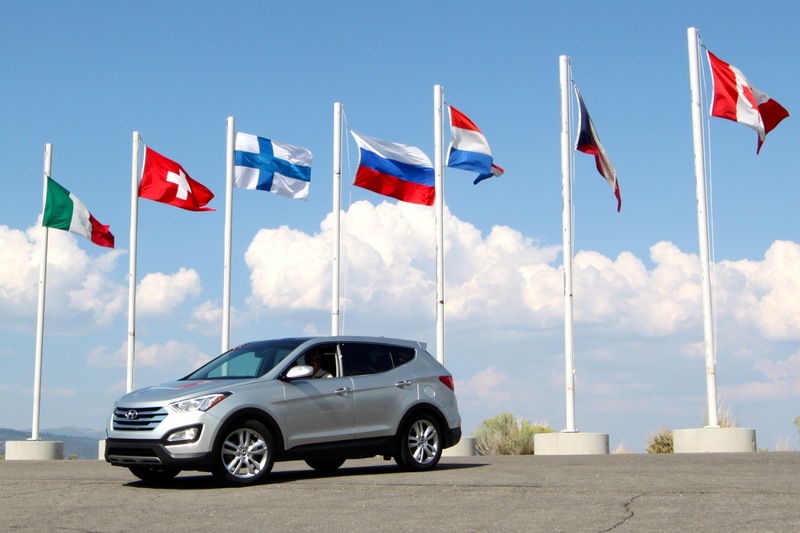 We thoroughly enjoyed our time in Utah, and our time behind the wheel of the new Santa Fe. 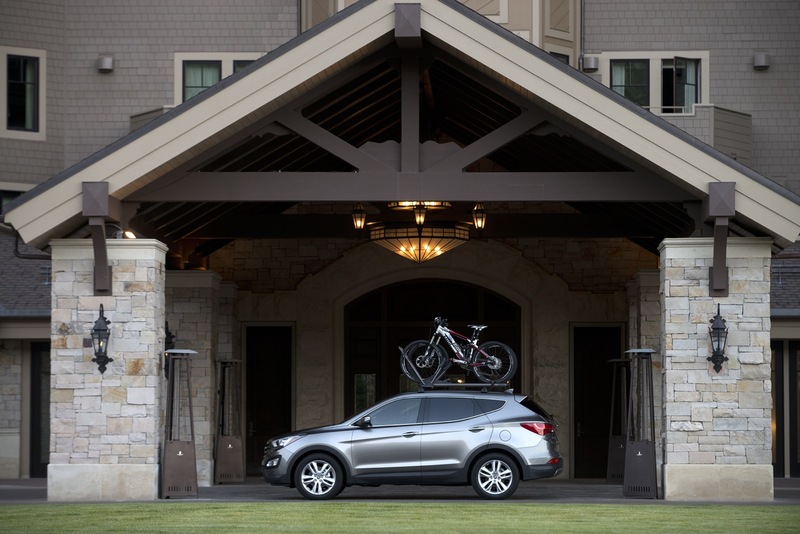 Even if your test-drive roads aren't nestled in the Rocky Mountains, we still suggest you check out the new 2013 Santa Fe Sport. This crossover definitely provides many of the capabilities of an SUV, with the comforts and gas mileage of a passenger vehicle. Drive the Kia Stinger GT at the Stinger Experience!